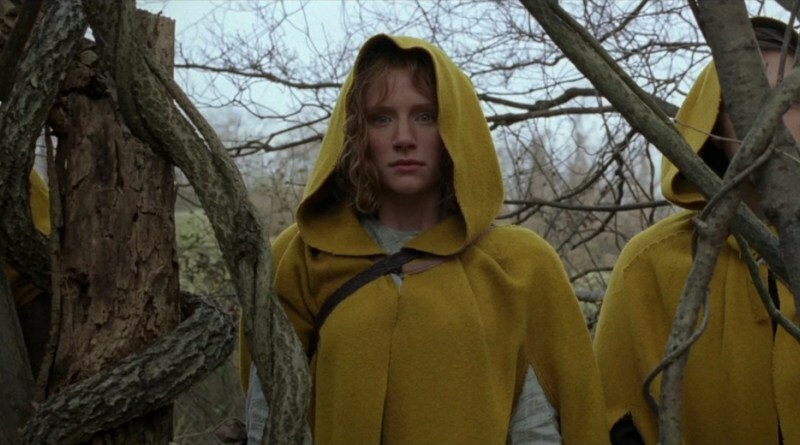 You have to let your imagination run wild, if you want to get maximum entertainment from M. Night Shyamalan’s new film, The Village. Set in a small village in Covington Woods, Pennsylvania, this film has an amazing plot, cast, music, and, as usual, Shyamalan’s trademark surprise twist(s) that make you want to see the film again so you find all the revealing elements. The plot moves quickly into the action keeping character introductions to an extreme minimum. The upcoming scenes reveal the folklore behind the antagonistic creatures (a.k.a. “Those we don’t speak of”) who live in the surrounding woods. 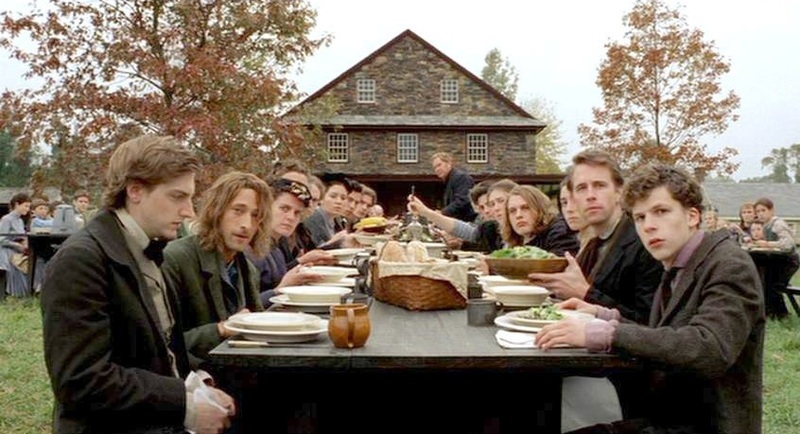 Shyamalan assembles a great cast and also seems to have a knack for finding new talent. Bryce Dallas Howard’s debut role as Ivy produces a memorable character with genuine feelings and incredible courage. She sees the world in a different way and represents one of the town’s strongest citizens. Lucius Hunt (Joaquin Phoenix) also stands out as a reserved townsman who politely questions the authority when he proposes to travel beyond the borders. Heed the warning bell, for they are coming. These rules mirror controls set in many societies. Rules can provide boundaries for safety, but also affect physical and mental aspects of life. In the film, tall flags, watch towers and torchlights mark the boundary of the woods, yet there’s no fence or physical barrier. These rules prevent people from just walking into the woods without considering the consequences as the leaders strive to protect everyone the town. On the other hand, the frightening possibilities and imagined scenarios of crossing the border can wreak havoc on the mind. Shyamalan connects essential life values in imaginative, frightening ways that strengthens the connection to the audience. The connection between imagination/thought and action play an important role here as characters look to God, free will and the spirit world for answers. Shyamalan could’ve lengthened a scene where school children share their theories about the creatures. It would’ve been great to hear their answers. Specific words and character dialogue map some important plots points as the film progresses very evenly for approximately two hours. Shyamalan’s utilizes flashbacks, close-ups and slow motion while using the entire film environment supported by the amazing cinematography of Roger Deakins (Blade Runner 2049, House of Sand and Fog, A Beautiful Mind). Music composer James Newton Howard provides yet another crucial musical score for Shyamalan that begins with great intensity then sustains the mood throughout the film. Highly recommended (***1/2) and rated PG-13 for tense situations and violence. Be sure to watch the ending credits. This entry was posted in 2000s Film Reviews, Film Reviews and tagged Michael Siebenaler, Mike Siebenaler, Reviews, Shyamalan, Tall Writer. Bookmark the permalink.